I'm finally going to put my Fashion Marketing degree to some good use here and dust off the web cobs on all that media savvy (awkward pause, erm...) knowledge I've been storing away... Lets talk about branding. In layman's terms, branding is a marketing tool used to accredit a company or product with a personality, a face, ethics, believes, morals... Ok you get the idea. Why? In order for their customer to identify with them, plain and simple. So with out further a do could we just take a moment to give new kids on the fashion block Joanie Clothing a huge round of applause for creating a brand which perfectly personifies that girl next door you're so desperate to be best friends with. A few months back myself and Joe went to visit Joanie's Head Office when it was merely a twinkle in its incredible teams eyes, in which I was given a glimpse into their first collection and an insight into what they hoped Joanie would/could be. 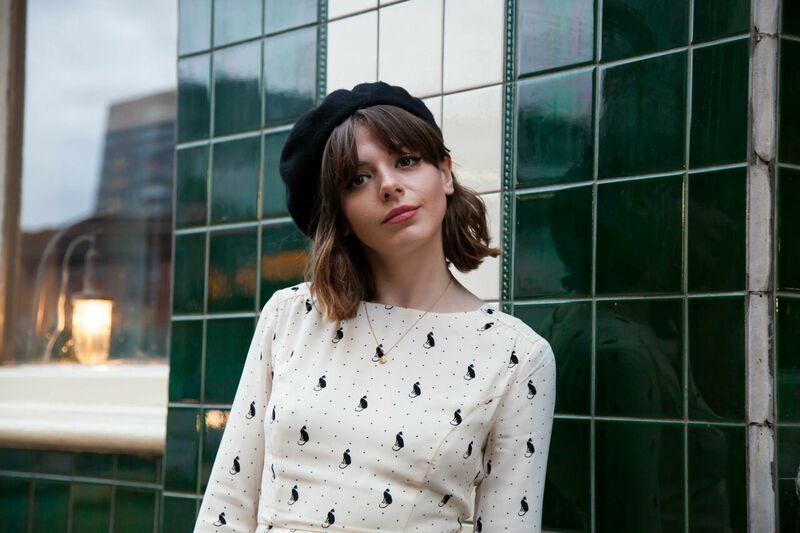 We sat and drank coffee, discussed sixties sirens and Taylor Swift, I swooned over the collection and got giddy over embroidered collars, cat knitwear and Alpine prints. I could have sat with these girls, amongst those clothes for hours and when we finally left, my first comment to Joe was simply, thank God someone is finally making a brand girls actual WANT and NEED!! Joanie "gets it". It doesn't conform itself to the latest fade trends and unobtainable, unrealistic lifestyle aspirations we're subjected to daily on Social media and in magazines. It's a brand free from intimidation, elitism and body shaming, instead Joanie actively promotes and celebrates...well... kinda just doing your own thing because that's what we all do best and that's what makes us all so bloody amazing in our own, niche little way. It's a brand for vivacious vixens, to sweet and retiring bookish types, to the crazy cat mad lady hidden away within us all (well mainly me anyway). It's for girls who want to stand out, loud and proud and for those that just want to feel comfortable and cool. Most importantly and what I personally found most appealing, it's a brand for nostalgic girls who pine over eras which never even came close to their life time and it makes them accessible! 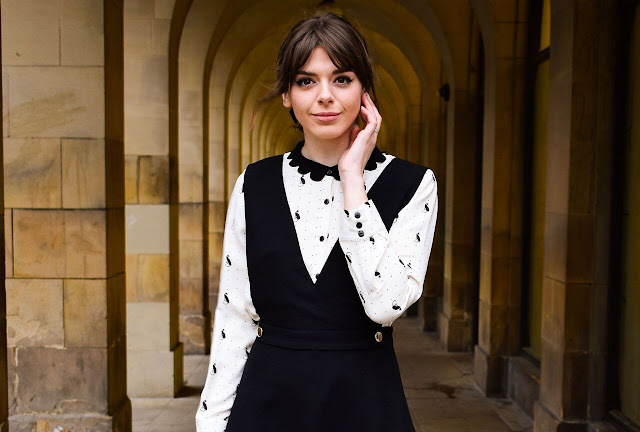 Whether you swoon over Jane Birkin's understated boyish style, Anna Karina's sweet and playful outfits, Hepburn's utter fabulousness or Monroe's overtly feminine charm, look no further, Joanie has a dress for that. Joanie is the girl who's style you'll forever crush over on Instagram, the one who always shows mutual appreciation for your outfits too. She's that one friend we all have who always seems to know the newest coolest band, book and film. She's the girl you meet drunkenly in the loo, the one who tells you "you're dress is amazing" or "please don't cry you're too good for him". She's the girl in the queue at Starbucks (who am I kidding... probably more like Greggs) who asks you politely where your shoes are from and she's that one work friend who gets your humour and always manages to make you smile, even on a Monday. Best thing is Joanie isn't just one girl, oh no no! Joanie is a girl gang (snaps fingers). A girl gang consisting of all the aforementioned and more. What's more, she's happy to recruit anyone in, no judgement held, spaces are limitless. Just be sure to tag your latest Joanie outfit on Instagram as #joaniegal and count yourself in! Seriously if you haven't paid a visit to the site, with all due respect... What the hell are you waiting for?! 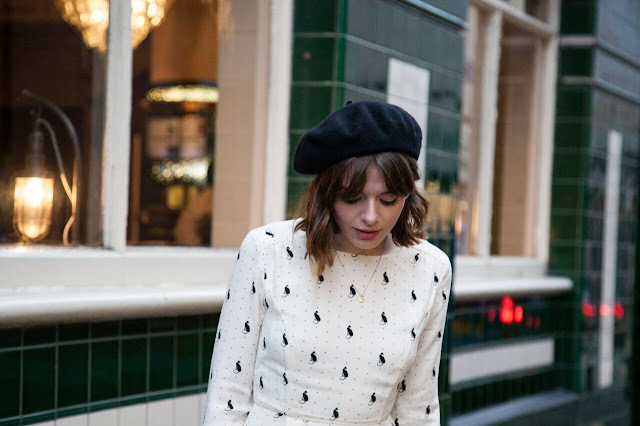 Scallop edged blouses, lace collared dresses and pearl dotted berets are calling you... Welcome to the club lady! PS I may have been listening to a excessive amount of 80s rock this week hence the Rick Springfield inspired title... I'm not even sorry.